hereinafter referred to as “MEMBER” and CROWN ME KING ESPORTS LLC (“CMK ESPORTS”). and terminating on END DATEunless contract violation is to occur in which case contract will terminate as per contract specifications. 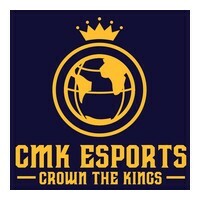 Officials of CMK ESPORTS for ESEA, STEP1, OVERTIME Competitive Registrations, Tournament Registration, and any other agreed upon coverages by CMK ESPORTS Staff and "MEMBER"
2.2 CMK ESPORTS agrees to also support MEMBER in any manner possible upon request, if such request is deemed necessary and economically feasible by CMK ESPORTS. Requests are able to be freely denied/accepted with little or no reason given at CMK ESPORTS's discretion. 3.2 MEMBER confirms that they have no other legal binding to any other team or organization. organization in the field during the term of this Contract without asking permission from CMK ESPORTS seven(7) days in advance. 3.4 MEMBER must wear official CMK ESPORTS tags at all times during events, competitions and while streaming. unless previous notice is given of accepted unavailability by MEMBER three(3) days in advance. 3.8 MEMBER agrees to not knowingly or willingly violate or let any member of his/her team violate ESEA , steponegg rules, overtime rules or any other competitive leagues rules. If found doing so MEMBER may have their sponsor/player relationship with CMK ESPORTS permanently terminated and can be held accountable for all fees invested into MEMBER. 3.9 MEMBER agrees to promote and utilize CMK ESPORTS sponsors during events, LAN'S and on stream. MEMBER signing this contract retains the following rights:1. All roster changes are left up to the Manager of said team and CMK ESPORTS .If he or she is unable to perform his or her duties they may be passed to the SUB that will be assigned by CMK ESPORTS .CMK ESPORTS has the right to dismiss MEMBER only if a part of the code of conduct has been breached.2. MEMBER must attend all meetings, practices, and event's designated by CMK ESPORTS. .3. If above leader or co-leader or scheduler for online matches fails to do their duties CMK ESPORTS has the right to schedule events or matches or social meetings.4. MEMBER will not have CMK ESPORTS discord muted and will be active in the community. and advertising of sponsor's, unless previously agreed upon in writing. 4.3 MEMBER will be eligible for monthly salary ($25 a month, resulting in $100 an agreements period) agreed upon by CMK ESPORTS and MEMBER, once we signed investors and become fully funded. MEMBER or CMK ESPORTS gives at least one (3) day notice officially terminating their sponsor/client relations due to personal reasons and/or violation of any Sections. 8.1 In the case that a player breaks the code of conduct at a tournament in which their is a prize or CMK ESPORTS, or their sponsors are in any which way are financing then that player forfeits their share of the ending prize. If a situation is not included in this contract, CMK ESPORTS may take the matter to court. Person or persons signing this contract may not take any member of CMK ESPORTS to court for any legal matter . Should a player break the code of conduct only that player will have the right to dismissal. If the player begins a LAN event at a venue he has the right to finish the final or LAN event and collect his rightful share of the prize.If this is not the case, the player may be dismissed instantly, Legal action may not be taken upon CMK ESPORTS. 8.2 In the event that the MEMBER goes an extended period of time (1 week warning, 2 weeks termination) without playing tournaments and matches, or stops participating in the organization entirely, without prior knowledge/advance by an owner or staff member, this document will be voided by the owner of CMK ESPORTS, thus resulting in the MEMBER being dropped. In the event where there are no agreed upon or active online/LAN tournaments/matches being held, this stipulation will not apply. Any active participation between tournaments that result in promotion of the CMK ESPORTS brand will be included as participation, and therefore, meet this part of the agreement. United States Of America. If MEMBER or CMK ESPORTS Staff is outside the United States Of America, the laws of the CMK ESPORTS Officials place of residence shall govern. This is version 8, from 8 months ago.